Contemporary romance is what we have on tap today. We are today's stop on the Legacy tour. This is a sweet and touching love story featuring a couple anyone could root for. TODAY readers can download a FREE copy of this book. Click below. Enjoy and enter the giveaway. Have a great weekend. Corinne Granger doesn't want to get out of bed. Or paint. Or talk about her feelings. Losing Michael, the man who taught her to believe in love, has left the 25-year-old portrait artist trapped in grief, a stranger to herself. Before Michael’s death, she was a force to be reckoned with. Intelligent. Talented. Terrifying. And Michael adored it all—even her hot temper and her sharp tongue. When you lose the only person who “gets” you, the world becomes a lonely place. Wes Clarkson can numb the pain of missing his best friend if he pushes his body hard enough. A personal trainer and Ironman triathlete, Wes can forget his grief at the gym—or between the legs of one of his clients. And this works for him as long as he doesn't think about the promise he made to Michael on his deathbed—to look after Corinne. But who could handle such a woman?!? The only thing Corinne and Wes had in common before Michael died…was Michael. But when the two find themselves living under the same roof, everything changes. Is there hope for the man who’s never been in love and for the woman who’s afraid to love again? Cover comment: Upon first glance I'd say the cover works because the reader gets to imagine this couple in their minds without the guidance of people on the cover. Yet, on a second and longer view, I'm not sure the girl is truly defined. She seems kind of just there. I started reading Legacy not sure to expect. I've read other romances about women losing their beloved boyfriends, fiances, or husbands. Some clicked, others did not. I feel for these types of stories a perfect kind of balance needs to be met for it to be successful, otherwise the tale can become too melodramatic, or too depressing, or even sappy. 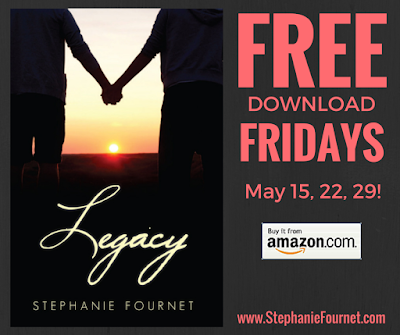 Luckily, Legacy by Stephanie Fournet hit all the right notes in just the right ways. 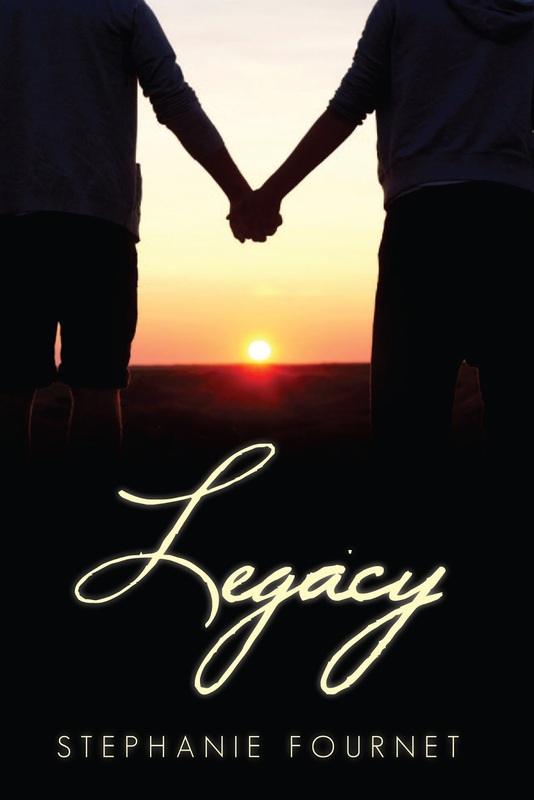 Legacy deals with loss and how losing someone close affects the one who is left behind. There are many stages to grieving and main character Corinne goes through them. But when her family begins to notice the passage of time and how she's not returning to some semblance of her old life, they become worried. Then there's Wes, best friend of her boyfriend Michael, who knows Corinne doesn't like him, but unbeknownst to her, he promised his bud to take care of her. But how can he keep a death bed promise to his closest friend if the young woman won't let him near? Legacy tackles Corinne's depression gently and realistically. The oversleeping, the loss of doing anything fun, no appetite, lethargy, the dependence upon medicine to feel numb, and more. Corinne is merely existing. Told from both points-of-view of Corinne and Wes, this is also a story of hope, of determination, and of acceptance. Losing someone is always terrible, but one must be able to accept another love if the opportunity arises. Corinne's growing acceptance and fondness for Wes scares her in many ways. Is she betraying Michael? Is there a guarantee she won't lose him? Can her heart handle another love? Her inner battle is poignant and I felt for her. I was very surprised by Wes and his character development. The tough looking personal body trainer dedicated to health and fitness became my favorite character in this story. He thought he didn't deserve someone like Corinne, someone with such talent, class, and beauty. Corinne on the other hand had to drop her preconceived opinions about Wes and get to know the real man underneath the muscle tees. This is such a refreshing love story. I never felt down or upset, there was always this constant hum of hope throughout. And the romance was believable all the way. Wes wants to help after his mistake and Corinne realizes she does need assistance. As they learn to live with each other, Wes sees she needs to begin to embrace living and shows her how. There were so many scenes I enjoyed watching these two connect, accept, and finally realize that being together just may be what their beloved friend intended all along. I recommend this contemporary romance to anyone who enjoys poignant and hopeful love stories. Stephanie Fournet, author of Fall Semester and Legacy, lives in Lafayette, Louisiana—not far from the Saint Streets where her novels are set. She shares her home with her husband John and her daughter Hannah, their needy dogs Gladys and Mabel, and an immortal blue finch named Baby Blue. 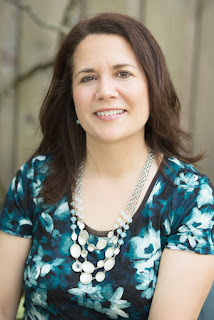 When she isn’t writing romance novels, she is usually helping students get into college, teaching AP English, or running. 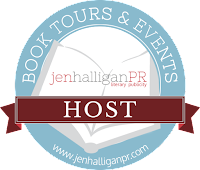 She loves hearing from fans, so you can follow her on Facebook or message her on Goodreads. Thanks for the review. I'm glad you enjoyed it! Great review. Sounds like a good read. I feel for the characters in this book and have put it on my to read list. Enjoyed reading the post.